Below you fill find all funeral homes and cemeteries in or near Madison. Suburbs of Madison: Fitchburg, Monona, Swiss Colony, American Family Ins Co, Electronic Data Systems, Madison Business Reply Mail, Madison Gas and Electric, Maple Bluff, Monona Grove, Shorewood Hills, State Capitol, Swiss Colony Bus Reply, The Wi Cheeseman, Univ of Wis Hosp Hlth Sc Ctr, Wi Dept Ind Labor Human Rel, Wi Dept Revenue Box 268, Wi Dept Revenue Box 34, Wi Dept Revenue BOX 59, Wisconsin Lottery. Madison is also known as: Dane County / Madison city. Their current mayor is Mayor Paul Soglin. Humbly, we believe Cress has a unique responsibility to honor the dignity of the deceased, to aid and counsel the family in time of grief, to encourage remembrance with each family within its own traditions, culture and financial means. Zip codes in the city: 53726, 53744, 53774, 53777, 53778, 53779, 53782, 53783, 53784, 53785, 53786, 53788, 53789, 53790, 53791, 53792, 53793, 53794. Dane County funeral flowers can be purchased from one of the local funeral shops we partner with. Madison has been featured in films like: Public Enemies (2009). Some of the notable people born here have been: Chris Farley (comedian and actor), Bradley Whitford (actor and television producer), Andrea Anders (actor), Chris Noth (actor and businessperson), Tammy Baldwin (politician and lawyer), Alice Sebold (writer and novelist), and Casey Cramer (american football player). Madison is home to the following sports teams: Wisconsin Badgers men's basketball and Wisconsin Badgers women's volleyball. Madison is the capital of the State of Wisconsin and the county seat of Dane County. 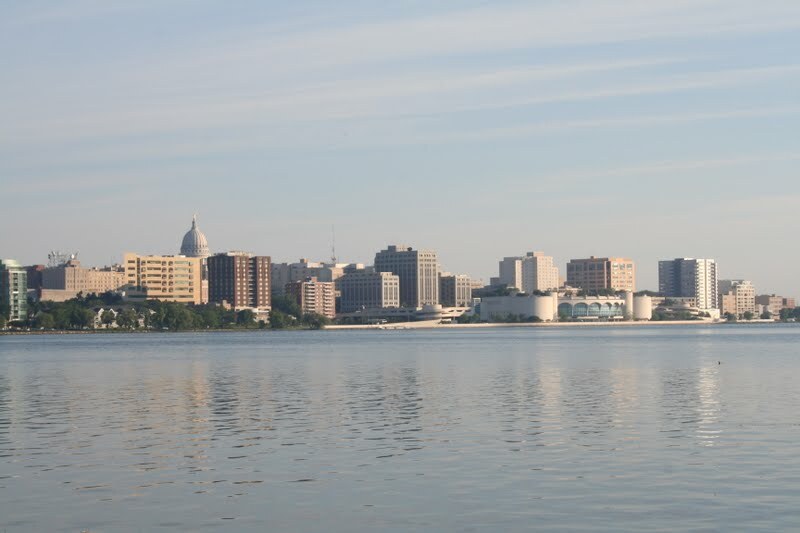 As of July 1, 2013, Madison had an estimated population of 243,344, making it the second largest city in Wisconsin, after Milwaukee, and the 83rd largest in the United States. The city forms the core of the United States Census Bureau's Madison Metropolitan Statistical Area, which includes all of Dane County and neighboring Iowa, Green, and Columbia counties. 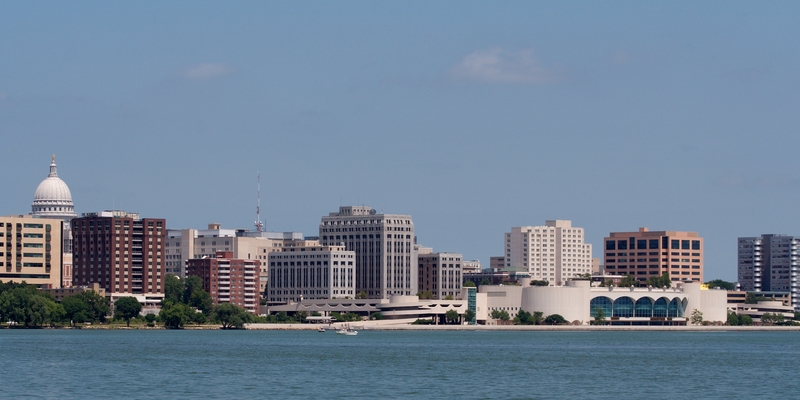 The Madison Metropolitan Statistical Area had a 2010 population of 568,593. It was reported by Milwaukee Journal Sentinel on March 10th, 2019 that Gail Rae Johnson (Ehret) passed on in Madison, Wisconsin. Ms. Johnson was 84 years old. Send flowers to share your condolences and honor Gail Rae's life. It was written on March 8th, 2019 that Ruth M Bosben (Kerin) died in Gibsonia, Pennsylvania. Ms. Bosben was 92 years old and was born in Madison, WI. Send flowers to express your sympathy and honor Ruth M's life. It was disclosed by Milwaukee Journal Sentinel on March 3rd, 2019 that Ann Margaret Stajich (Jones) perished in Madison, Wisconsin. Ms. Stajich was 90 years old. Send flowers to express your sorrow and honor Ann Margaret's life. It was disclosed by Eau Claire Leader-Telegram on March 3rd, 2019 that Kathryn Alice Trudell (Trudell) died in Madison, Wisconsin. Ms. Trudell was 63 years old. Send flowers to share your condolences and honor Kathryn Alice's life. It was disclosed on February 28th, 2019 that Virginia "Ginger" Mastin (Nye) passed on in Madison, Wisconsin. Ms. Mastin was 87 years old and was born in Lincoln, NE. Send flowers to share your condolences and honor Virginia "Ginger"'s life. It was written by Milwaukee Journal Sentinel on February 24th, 2019 that William "Bill" Brandt perished in Madison, Wisconsin. Brandt was 84 years old. Send flowers to express your sympathy and honor William "Bill"'s life. It was disclosed on February 24th, 2019 that Kathryn E Carrigan (Pace) passed on in Madison, Wisconsin. Ms. Carrigan was 83 years old and was born in Roanoke, VA. Send flowers to share your condolences and honor Kathryn E's life. It was written by Eau Claire Leader-Telegram on February 10th, 2019 that Goldine Holmes (Rusten) passed on in Madison, Wisconsin. Ms. Holmes was 89 years old. Send flowers to express your sorrow and honor Goldine's life. It was written by Milwaukee Journal Sentinel on February 10th, 2019 that Stephen Kelly "Steve" Millar died in Madison, Wisconsin. Millar was 70 years old. Send flowers to express your sympathy and honor Stephen Kelly "Steve"'s life. It was reported on February 6th, 2019 that Sally Lou O'Malley Lathers died in Madison, Wisconsin. Lathers was 81 years old. Send flowers to express your sympathy and honor Sally Lou O'Malley's life. Making funeral arrangements can be a difficult experience. To assist you in this we have listed Madison funeral homes, cemeteries, and cremation providers, among other funeral services. If you are researching a traditional burial, cremation, or a green burial we can provide you with the information you need. 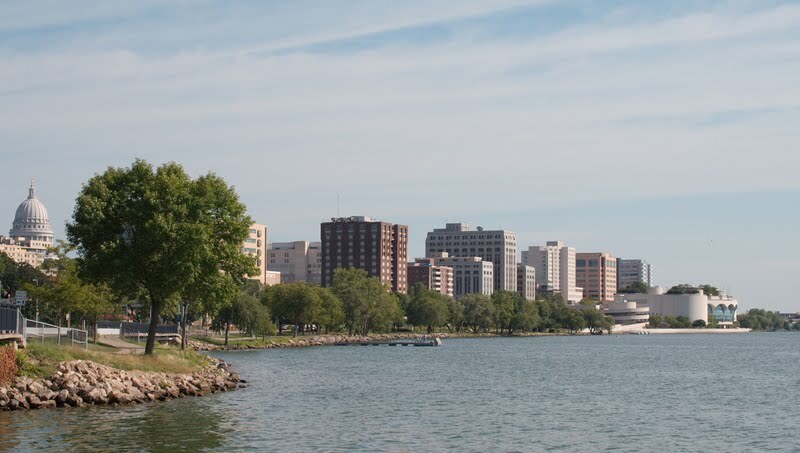 Madison has been named one of the "best places to live" as well as "the healthiest city in America." Residents ice-skate, ice-fish, cross-county ski, play ice hockey, and go snowkiting in the winter, and sail, hike, and bike in the summer. With one of the largest bike trails systems in the country it brings in $800 million in bicycle tourism and constitutes 20% of the country's bicycle manufacturing. The official website for the city of Madison is http://www.cityofmadison.com/. Joe was employed by the Dean Medical Center in Madison for the last 16 years and ... at the DALEY MURPHY WISCH & ASSOCIATES FUNERAL HOME AND CREMATORIUM, 2355 Cranston Road, Beloit, WI. Visitation will be from 4 until 8 p.m. Monday at the FUNERAL HOME. Funerals in Madison, WI on Yahoo! Local Get Ratings & Reviews on Funerals with Photos, Maps, Driving Directions and more. Listing all funeral homes in Madison, Wisconsin so you can easily send flowers to any location (same day delivery) or find any funeral service. Need flowers delivered to a funeral home? It's easy to find a Madison, WI funeral home from this list and call A NEW LEAF FLOWERS & GIFTS. We work with local florists and flower shops to offer same day delivery. You will find budget sympathy flowers in Madison here. Our funeral flowers are cheap in price but not in value.